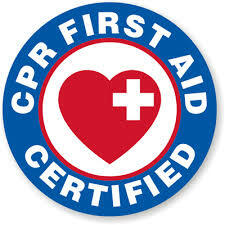 This course trains in providing quality CPR in appropriate situations. Also the use of Automatic External Defibrillators (AED's) is on the rise, and working knowledge of these devices can be crucial in an life-saving situation. Hands-on working with AED’s is also provided, along with hands-on training to provide abdominal thrusts in choking/ respiratory obstruction situations. The CDC has approved this course as a refresher. Tuition fees are directly paid for by the Carpenters' District Council for craftworkers in good standing. AGCMO will invoice the union on behalf of the registrant. For those not paid for by District Council, the cost for AGCMO members is $55 and non members is $165.